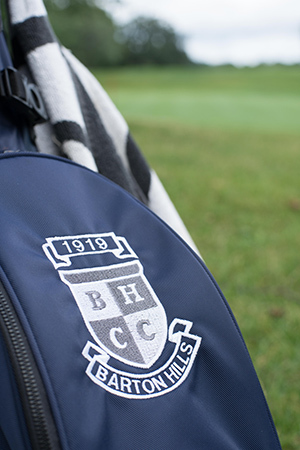 Barton Hills Country Club is the home of one of Michigan's premier, classic golf courses, that has hosted numerous national, state and local championships, including the 98th USGA Women's Amateur and the 22nd USGA Women's Mid-Am Championship. In recent years, Ann Arbor has emerged as the new destination for those seeking a fun-filled, active and healthy lifestyle. It was voted the Best City to Live in America as per a new study conducted in April, 2017 and covered on WXYZ Channel 7, while AARP has named Ann Arbor "Healthiest City" and one of the top college towns to live and retire. Providing each member and guest a first-class, memorable experience. 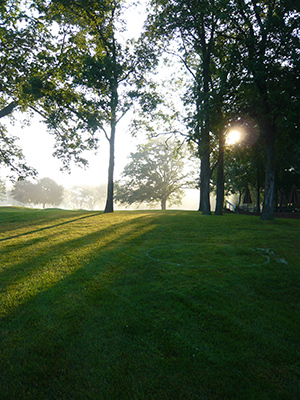 We are committed custodians of a world-class Donald Ross golf course and one of the best courses in Michigan. We offer a family-oriented environment to build lasting memories and traditions by providing a broad range of activities to meet the unique needs and interests of our members. Barton Hills Country Club is located in a scenic and beautiful locale, nestled on one of the highest hills in Washtenaw County, above the Huron River. The location is just west of downtown Ann Arbor and easily accessible from U.S. 23 via M-14. Golf Digest ranked Barton Hills CC as one of the top 25 courses in the state of Michigan in 2017. The course was originally designed by Donald Ross in 1922 and restored in 2012. Speaking at the rededication ceremony of the newly improved course, Ron Whitten, Senior Editor Architecture of Golf Digest Magazine tweeted "stunning restoration of Donald Ross by Ron Prichard! Fantastic set of greens. Love it." The course offers 9 sets of tees with many options of play that do not require a 4.5 hour commitment. Barton Hills Country Club has become very popular with young professionals, young families looking for an all inclusive safe experience without traveling all over town, empty nesters, avid golfing couples looking for a home club, new arrivals to the Ann Arbor area looking to socialize, those who are not yet retired, foodies and wine enthusiasts. Ann Arbor, being the home of the University of Michigan, which draws people from all over the world. Our membership roster is made up of entrepreneurs, businessmen and professionals from various occupations. The diversity of people at BHCC is nicely complemented by an equally diverse selection of activities. There is a Swimming Pool and Tiki Pool Bar, Tennis, fitness facility, banquet facility, weddings and special events. Barton Hills is also the home to the most sought after event in town - the annual EXTRAVAGANZA. This celebration draws members, families and other visitors in large numbers to enjoy delicious food, live entertainment, carnival rides, zip lining and a professional fireworks show that is not to be outdone. We invite you to discover the Club for yourself and visit as our guest!